It is the oldest direct evidence of bread found to date, predating the advent of agriculture by at least 4,000 years. The findings suggest that bread production based on wild cereals may have encouraged hunter-gatherers to cultivate cereals, and thus contributed to the agricultural revolution in the Neolithic period. 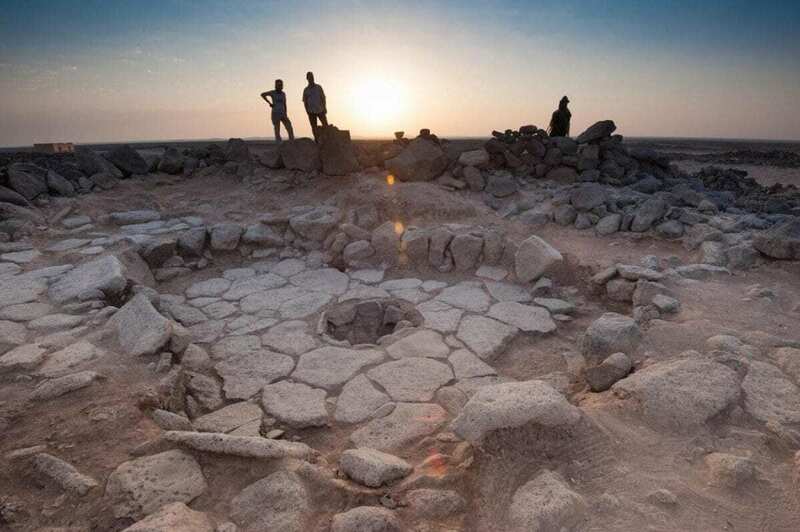 “The presence of hundreds of charred food remains in the fireplaces from Shubayqa 1 is an exceptional find, and it has given us the chance to characterize 14,000-year-old food practices. The 24 remains analysed in this study show that wild ancestors of domesticated cereals such as barley, einkorn, and oat had been ground, sieved and kneaded prior to cooking. The remains are very similar to unleavened flatbreads identified at several Neolithic and Roman sites in Europe and Turkey. So we now know that bread-like products were produced long before the development of farming. The next step is to evaluate if the production and consumption of bread influenced the emergence of plant cultivation and domestication at all,” said University of Copenhagen archaeobotanist Amaia Arranz Otaegui, who is the first author of the study. “The identification of ‘bread’ or other cereal-based products in archaeology is not straightforward. There has been a tendency to simplify classification without really testing it against an identification criteria. We have established a new set of criteria to identify flat bread, dough and porridge like products in the archaeological record. Using Scanning Electron Microscopy we identified the microstructures and particles of each charred food remain,” said Gonzalez Carratero. “Bread involves labour intensive processing which includes dehusking, grinding of cereals and kneading and baking. That it was produced before farming methods suggests it was seen as special, and the desire to make more of this special food probably contributed to the decision to begin to cultivate cereals. All of this relies on new methodological developments that allow us to identify the remains of bread from very small charred fragments using high magnification,” said Professor Dorian Fuller (UCL Institute of Archaeology). “The Danish Council for Independent Research has recently approved further funding for our work, which will allow us to investigate how people consumed different plants and animals in greater detail. Building on our research into early bread, this will in the future give us a better idea why certain ingredients were favoured over others and were eventually selected for cultivation,” said Tobias Richter.